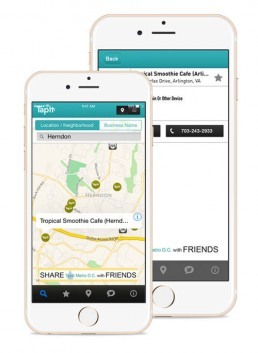 TapIt Metro is a social networking platform in DC that provides an easy access to great tap water when you need it, helping you stay healthy and hydrated, reduce waste, and save money. Metro DC Council of Governments has been encouraging the TAP water in DC, Maryland and Virginia area for a long time. They saw the opportunity to create a community platform which helps users to find the nearest location of Tap Water. This app also helps its users to suggest and share the nearest tap water location. 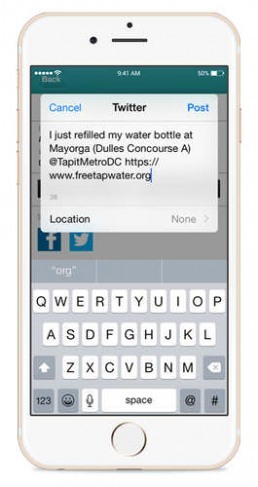 With the TapItMetro DC App, finding free water bottle refills on the go has never been so easy for TapIt app users having iPhone or Android phones. Using GPS locations, users can get directions to find the nearest tap water location. What distinguishes them [Sunflower Lab] is their ability to continue to work at designing a product until we were happy with it in the end. Refined search function has been provided to help users plan their water refills based on the neighborhood or, an end point address. Users just needs to type in the “neighborhood or city + MD VA or DC”, for example, “Dupont circle DC” or “Rockville MD” and they will be able to see all the nearby TapIt partners. Regional maps and GPS locations provide details of all TapIt partners, businesses and organizations in MD, VA, and the District of Columbia. The users can also share these locations on their social media accounts to inspire others to use TapIt app and assist other users.